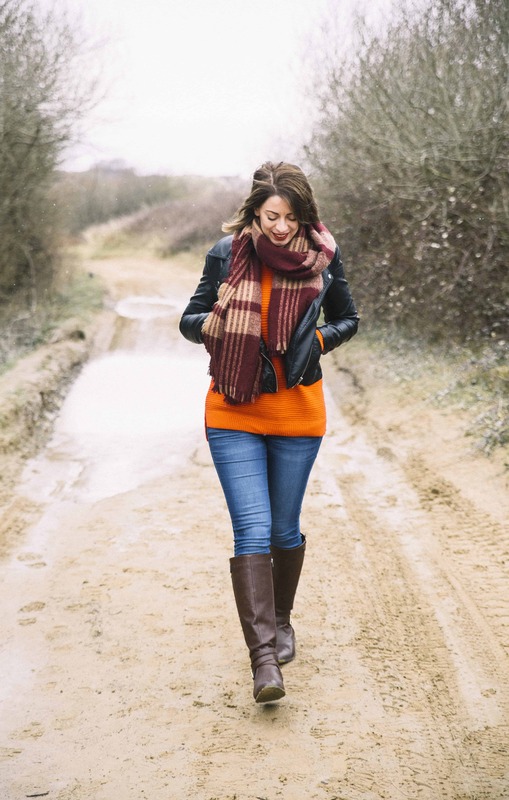 A gluten free, coeliac-friendly blog by Sarah Howells covering gluten free recipes, reviews, and living a healthy life – with plenty of gluten free pizza! This post is sponsored by Nutri-Brex. Gluten free breakfast ideas can often be hard to come by, but breakfast is my absolute favourite meal of the day and I like to make it as exciting as possible. 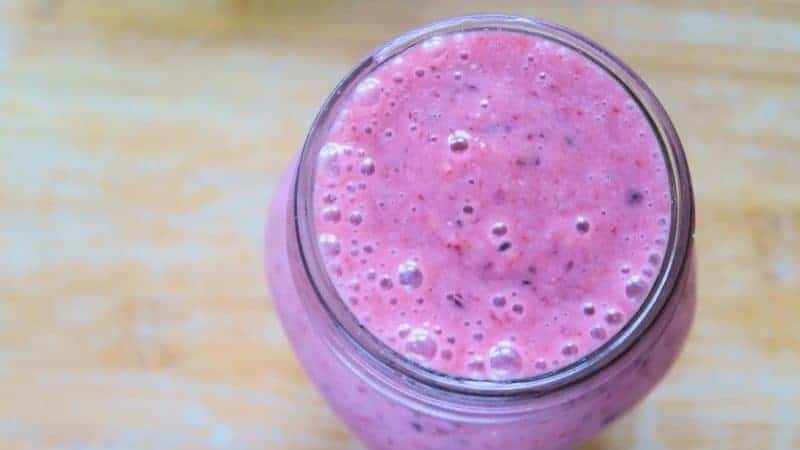 Whether you’re after a leisurely brunch with breakfast muffins and crumbles, a quick breakfast smoothie or breakfast bar to eat on-the-go, or even some post-workout protein pancakes, there are so many different choices. This is why I’ve teamed up with Nutri-Brex to show how much fun breakfast can be! 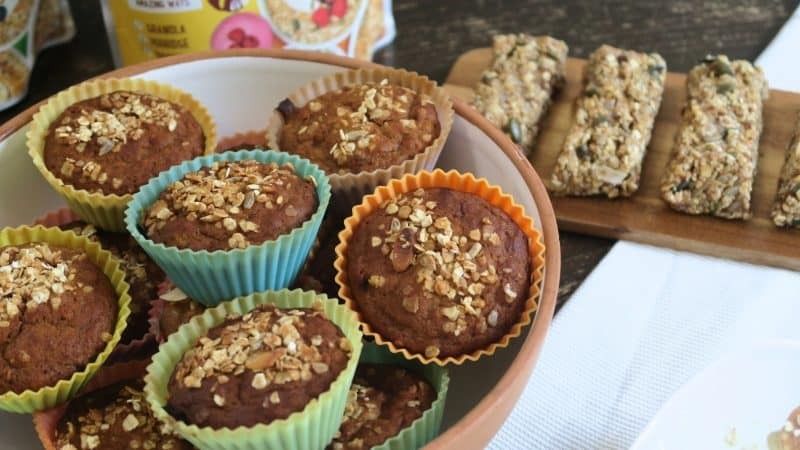 Nutribrex challenged me to come up with some different gluten free recipe ideas using their 5 Ways Granola. The Nutri-Brex granolas come in two flavours: hazelnut, coconut and quinoa (aka the green one!) and honey, almonds and seeds (aka the yellow one!). They are hugely versatile and you can also enjoy them in other ways, such as in a bircher pot or simply in a bowl with milk. Scroll down to find the full recipes or click on the recipe of your choice to jump straight to it! 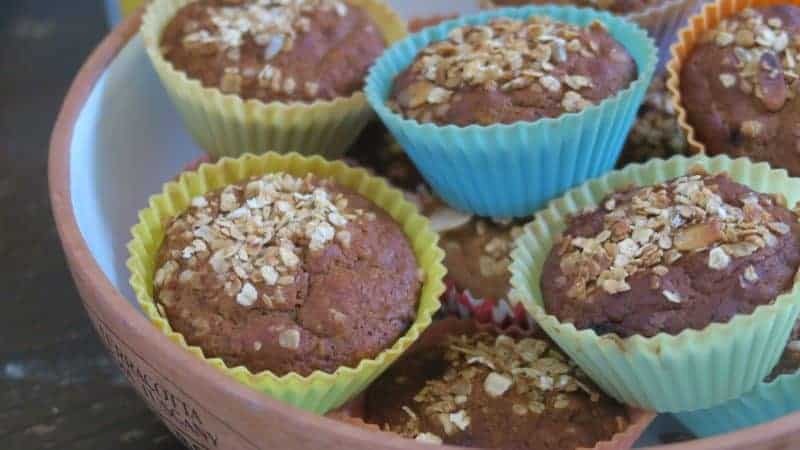 A deliciously light and fluffy muffin, made with Nutri-Brex 5 Ways granola, and great for a gluten free breakfast on-the-go. Preheat the oven to 180’C/Gas 4. Line a muffin tin with large muffin cases, or use silicone cases as I have in this recipe. In a large mixing bowl, add the eggs, yoghurt, oil, vanilla and honey and apple puree. Mix well until combined. Add the flour, bicarb, granola and cinnamon to the mixture and mix for a few seconds until it is a smooth batter. Once mixed, divide the mixture between the muffin cases and sprinkle each one with a little extra granola. Bake for 20 minutes until golden brown and then allow to cool on a rack before eating. Can be stored in a sealed container for around three days. Want more inspiration? Click here to go back to the top. 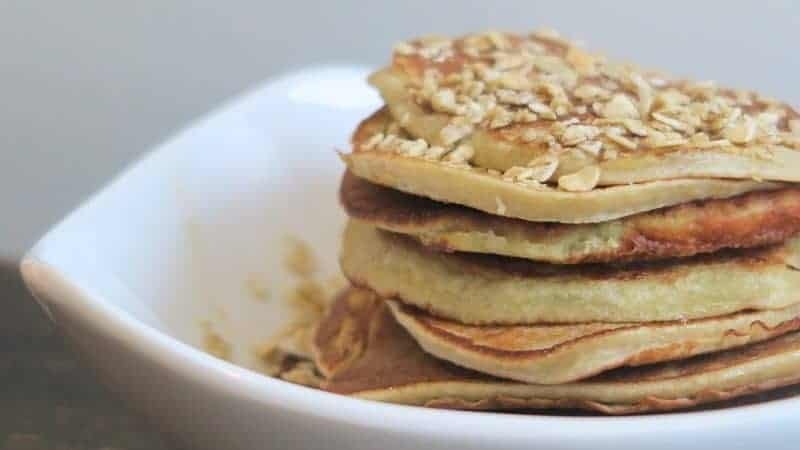 These gluten free protein pancakes are perfect for a post-workout treat, or a quick and easy breakfast. Add all of the ingredients (except the oil) to a blender and blend until smooth. Heat the coconut oil in the pan and then fry small portions of the mix into American-style pancakes. Stack and top with extra granola and maple syrup. 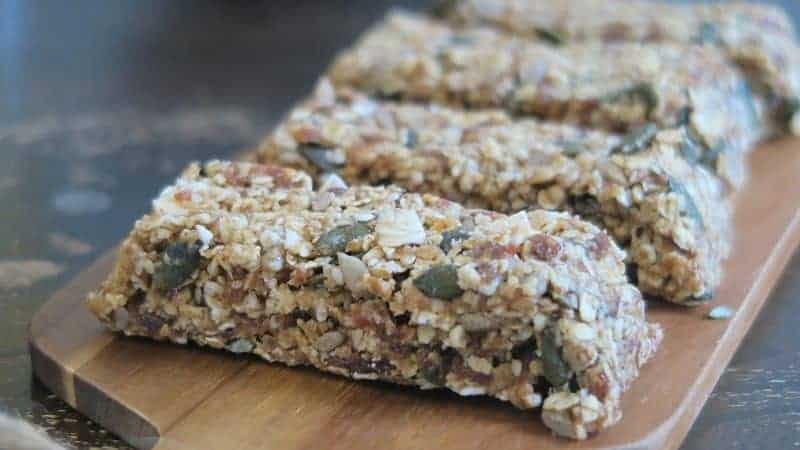 Made with just a few simple ingredients, these breakfast bars are so easy to make and great for a speedy snack or breakfast. Add the pitted dates to a blender and blend until they form a paste - a few chunks is okay for added texture! Add the date paste to the other ingredients in a large mixing bowl and mix together. You might find it easier to get in there with your hands! Press the mixture into a silicone baking tin (or a lined baking tin) and place in the fridge for around an hour until hardened. Cut into bars and enjoy. This is a great gluten free breakfast option to have anywhere - it uses juicy berries and mango as well as Nutri-Brex 5 Ways Granola. Add all of the ingredients to a blender (adjust the almond milk depending on how thick you’d like your smoothie to be). Blend and enjoy for a delicious breakfast - perfect for on-the-go. These gluten free breakfast crumbles are quick to make and delicious enjoyed hot or cold. Peel and chop the pears and add them to a saucepan with the lemon juice, honey and cinnamon. Simmer for around 15-20 minutes until soft. 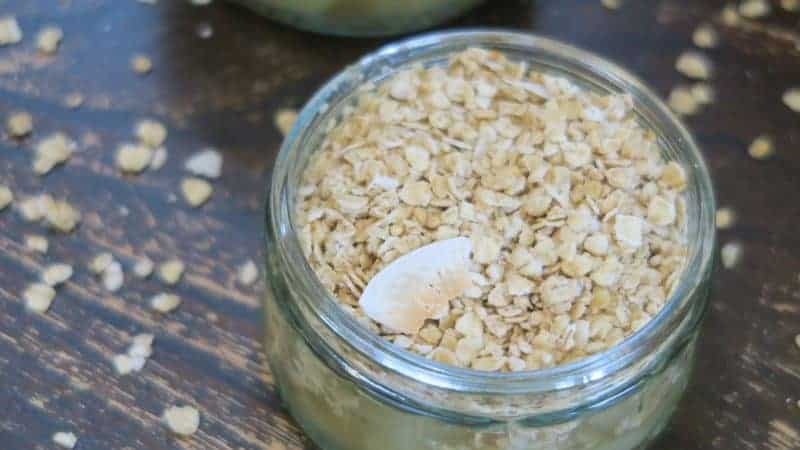 Place in a ramekin and then top with the Nutri-Brex granola. You could bake these for an added crunch for around 10 minutes, or also enjoy them cold as a snack. Find Nutri-Brex 5 Ways in Tesco, Sainsbury’s, Waitrose, Asda, Morrisons, Ocado and more. To find a stockist near you, visit their website here. Like this post? Make sure you pin it for later! Gluten free mac and cheese – the ultimate comfort food! My gluten free Ikea meatballs recipe – like the real thing, but better! 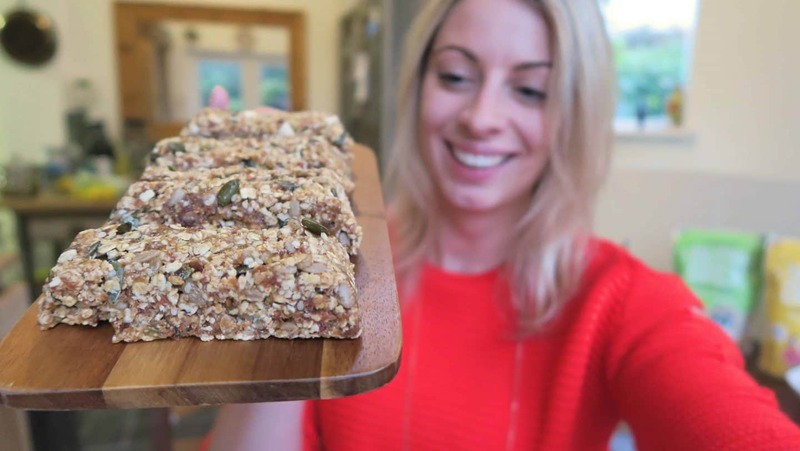 Sarah Howells is a coeliac and gluten free blogger, sharing healthy recipes and treats, the latest gluten free products and travel tips. Sign up for my mailing list! 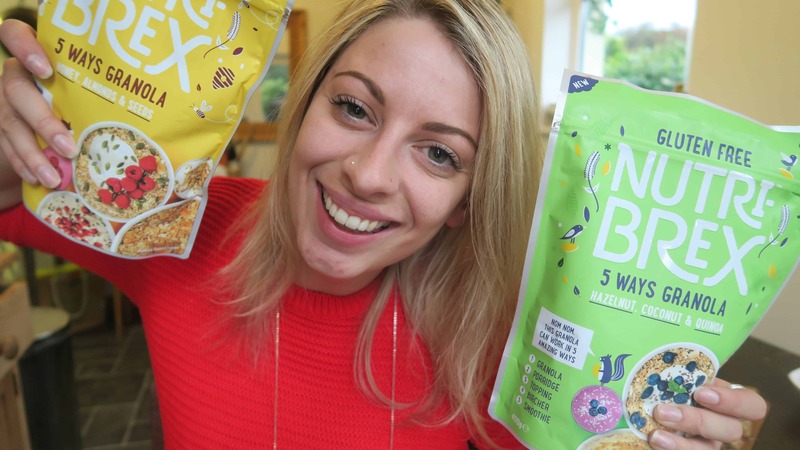 Subscribe here for my weekly gluten free round-up newsletter and special updates, offers and competitions from The Gluten Free Blogger! 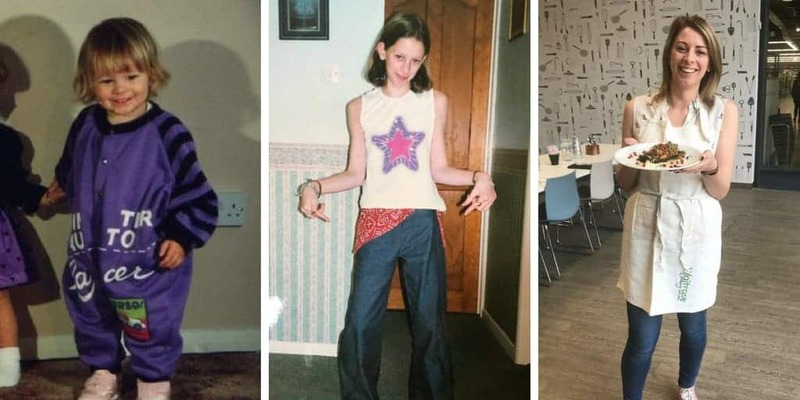 Wetherspoons – what you can eat!